It seems everyone in this house likes porridge except for me! 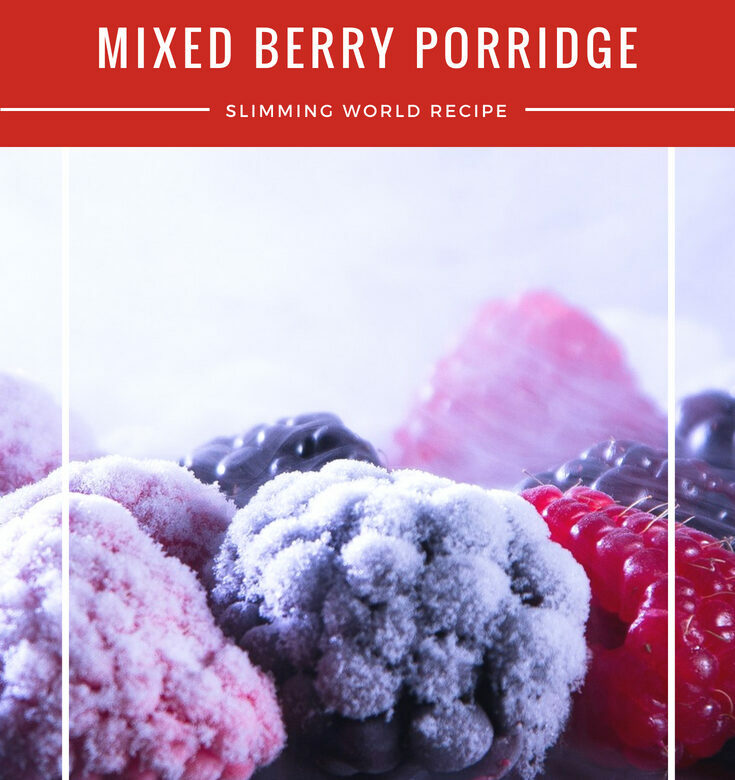 This mixed berry porridge is great for those mornings when you need warming up before heading out in the cold! Make up the porridge as per the packet instructions, using the skimmed milk. Once it’s been warmed up, top it with the yogurt, berries and 1 level tsp runny honey (optional, 1 Syn). Tip: This recipe is Free if you count the skimmed milk as part of your day’s Healthy Extra ‘a’ choice.